Mima’s hands grasp the grains of rice, letting it spill from her fingertips as she sets apart a portion of food for the day. The same hands rise in worship and prayer. The same hands make soap; share literature; and help the poor, the widows and orphans. The same hands tenderly care and tend for her family. In Mima’s heart rests this hope: The fruit coming from her hands is something eternal. 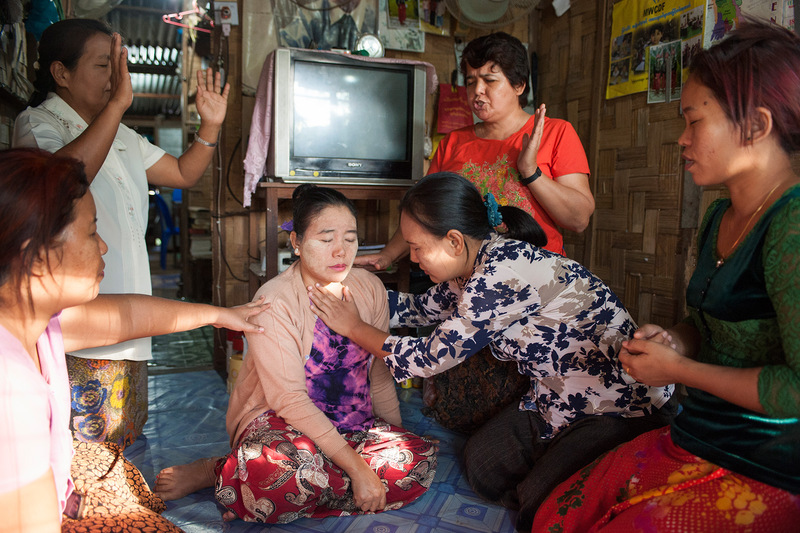 These women find joy in sacrificing their possessions for the Lord. 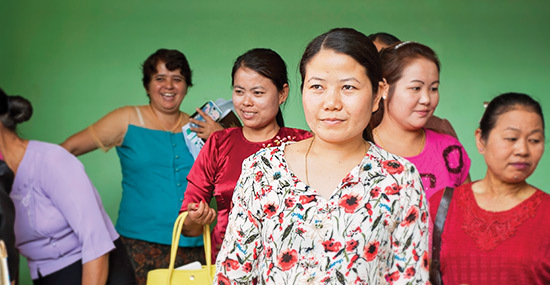 Every Friday, Mima and other women from churches all across Myanmar meet for a day of fasting and prayer at their Women’s Fellowships. 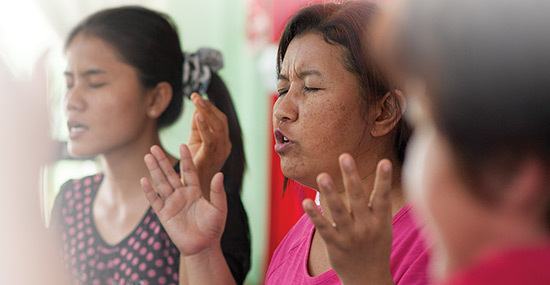 They pray for their families and lift up the needs of the local church. They read God’s Word and go out into their communities to encourage their female neighbors in the Lord. Their sole desire is to know and love the Lord more, and they have seen the Lord work powerfully. Beyond your average women’s meetings, there is something profoundly unique about this particular group of ladies. Much like the example given in Proverbs 31 in the Bible, these women stretch out their hands and resources to the poor and needy around them. Like Mima, each woman in the fellowship raises funds for their fellowship and for the kingdom of God. 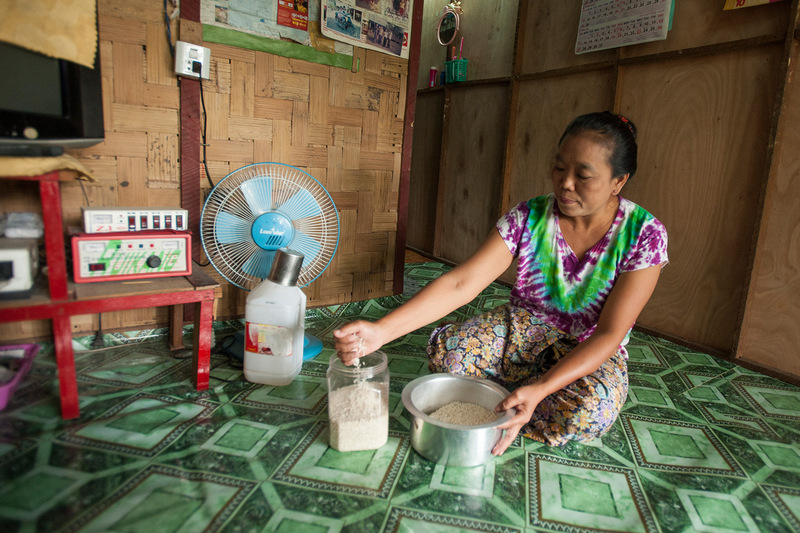 They set aside a handful of rice from the daily portion they cook for their families; they make soap and sell it; and they also sell vegetables in the market. By doing so, Mima and the other Women’s Fellowship ladies sow into the kingdom and their church with the finances they raise. They are not afraid they will go hungry by their sacrifice—to them, it is a sacrifice worth giving unto the Lord. 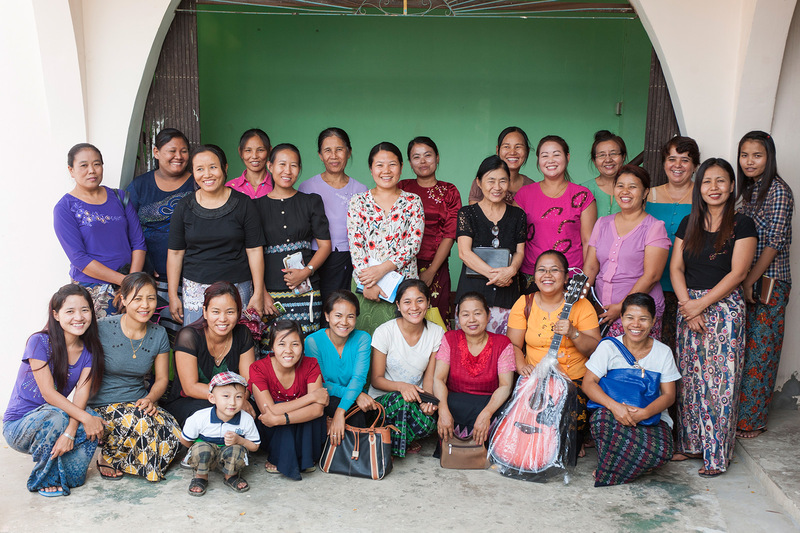 Through Mima and the other women’s efforts, they are able to support three local Bible college students. Last year they were able to provide a few flood victims in their area with rice, clothes and drinks. The women also help each other out with hospital bills when one of the women in their fellowship gives birth. Through their fundraising and fellowship, they have seen a strong bond of unity form among them. Along with their fundraising, they remain proactive in sharing their personal testimonies of God’s faithfulness in their lives. For Mima, it hasn’t always been easy to share her faith. There have been times when she simply had no courage. But she would pray, and the Lord would give her strength and boldness to comfort those in need and share His love with her neighbors. Along with these house visits, Mima and some of the other women make it a point to invite women in their community to come to their prayer and worship gatherings.  Over the course of the years, Mima has seen her Women’s Fellowship come to life. It has grown and bloomed as the women themselves grow in their fellowship and in their love for one another, for God and for others who need to know Him. Cheerfully and willingly, Mima and the Women’s Fellowship give and make sacrifices. Their efforts a have great reward, for their eyes are fixed on eternal things as they aim to serve God in every area of their lives. Their hands will always toil with hard work. They will sacrifice a daily meal so others may experience the Bread of Life for the first time. They have joy knowing their efforts, small or large, are making a difference. They walk together in unity and fellowship, all with one purpose in mind—to love the people around them with all they have found in the Lord. A hot-blooded drunkard experiences the fire of the Holy Spirit that redeemed him and set him on a course of wielding God’s love to minister to others. Read Story. After a house fire left a “wee woman” from Ireland without any earthly possessions, she decided to start living for eternity, where moth, rust and fires can’t destroy. Read Story. 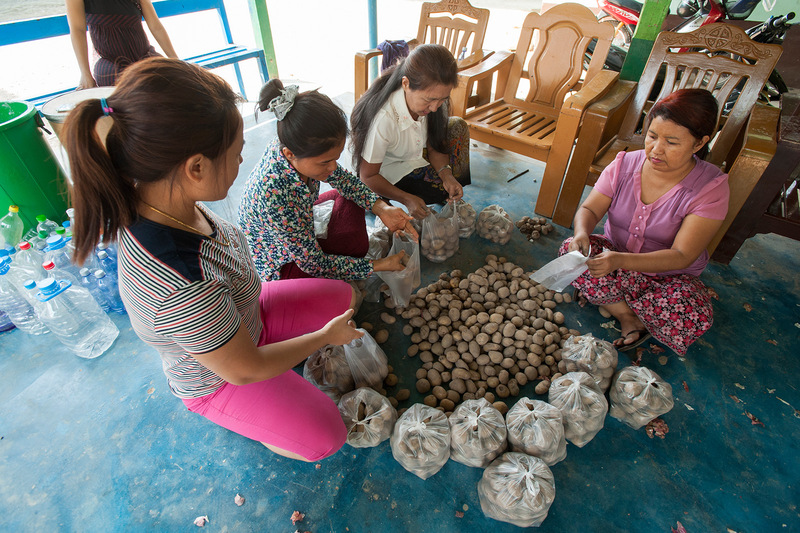 Groups of women in Myanmar set aside portions of food and find ways to support their churches and the mission field. Read Story.